Disclosure: This is a sponsored post with Mums the Word Network and Amwell. All opinions stated are my own. I was out running yesterday morning and minding my own business. I was listening to music and maintaining a great pace. Life was good until the sidewalk tripped me. Bam! I fell hard and scrapped my leg pretty bad. There was blood running down my leg but that did not stop me from finishing my run. Sure I was in pain but I was not going let that stop me from getting my 5 miles in. It was not until I got home that I realized the scrape on my leg was bad. Once I cleaned up my leg and put many big bandages I thought my leg was OK. That was until the day wore on. I went shopping and the pain started setting in. I also fell hard on my bottom so that started to hurt. My injuries caused me to walk funny and my kids made fun of me. When I got home I took the bandages off, I then realized my injury was worse than I thought. It was 8 PM at night, so I could not visit the urgent care as it was closed. What was I going to do? I decided to video chat with a doctor online. I went to American Well website to see how I would be able to chat with a doctor to get the answers I needed to be able to take care of my injury. Once at the website, all I had to do was make an account and then I would be able to chat with a doctor in my town. Setting up the account was easy and I was able to download photos of my leg so the doctor could see my abrasion and be able to diagnose my injury. I knew that I would be speaking to a real doctor and knew that he/she would be able to tell me what I needed to do to take care of my hurting leg. While I was checking out the website I noticed that they take most insurance plans and they would give me a receipt, of my payment, to make a claim. If my insurance was not listed then I would just pay a fee to talk to the doctor. I liked that I could pay for this visit with my credit card. So how would I talk face to face with a doctor in the comfort of my home? All I had to do was allow the Amwell website to use my web camera. Once I registered, a 3 minute process, I was put into a computer waiting room. There was two people ahead of me and I was told I had a ten minute wait. I could wait or have them text me when it was my turn. I decided to do other work on my computer while I waited. When the doctor was ready to chat with me, my web camera came on and I was able to see the doctors face. 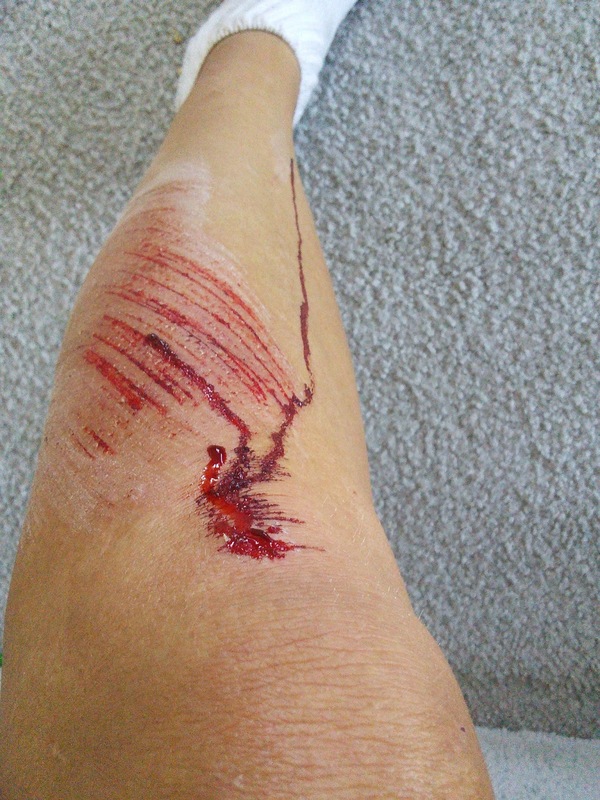 She asked me several questions about my injury and then asked to see my abrasion on my leg. I was able to show her my leg with the help of my web camera. The doctor took the time to explain to me why my leg was hurting. The doctor also told me how to take care of my leg so it would not get infected and she told me what to look for if it did get infected. I liked that I was able to see a doctor without having to leave my house. That was a relief as I did not want to visit the emergency room at 8 PM. I loved that it took 10 minutes of waiting instead of hours at an emergency room. Another cool thing is the doctors are available 24/7 and you don't have to leave your house. Going to the doctor isn't fun. What if you didn't have to go anywhere? With American Well, it's really that simple. Simply visit American Well or download their app. Once you sign up, you'll see a list of currently available doctors who are licensed in your state. 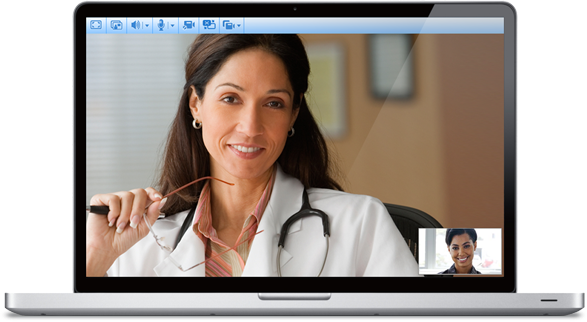 Doctors can diagnose, treat and even prescribe - all over secure video. After your visit, you'll receive a complete write up of what the doctor discussed and suggestions for treatment. If your doctor felt a prescription was needed, it will be waiting for you at your pharmacy! Visit this link to see how American Well can help you next time you need to speak with a doctor. When the time arises that you find yourself wanting/needing to talk face-to-face with a doctor, you can use the following code to get $10 off of your first visit: LOVEAMWELL10 making your first visit $39.00. Oh, Tara! I am so sorry that you fell, but I am happy that you got checked out! Ouch!! Isn't technology amazing? How are you doing now? Ouch - hope you feel better soon. You're definitely a trooper!! Oh man, I feel like every time I go out something like this happens! Happy healing! I'm so sorry you fell but glad you're ok. How great that you were able to see a doctor like that! So convenient!! Oh my gosh!! I hope you are okay! 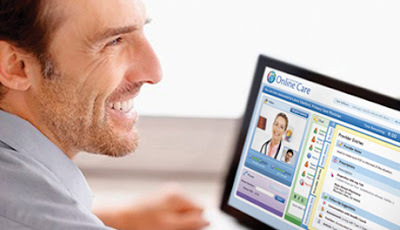 I can definitely agree with you that a doctor online is really awesome. Thank you for sharing. OUCH!!! There are such great online resources today it amazes me! When I saw that photo, I was hurting for you! I hope it's much better now. 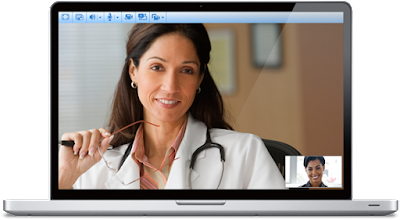 I love that idea of just talking to a medical professional from your own home instead of waiting in a waiting room. I've heard of this and think it's a much better idea especially if you may not need to actually physically see a doctor. Ouch!!! So sorry about your fall. Sending well wishes for you to feel better soon. I recently downloaded the am well app on my phone, but having used it. Glad to know it is an easy process for signing up and getting seen by a doctor using the app/computer. Thanks for sharing! Ouch, hope you are healing nicely! This sounds like a super handy app, will be checking into it! 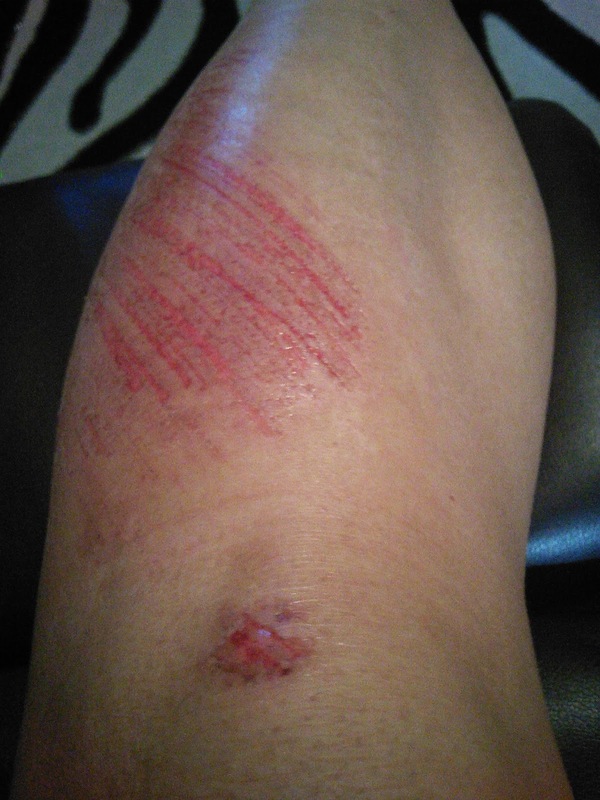 NOTHING is worse than a skinned knee, especially such a big one! Sorry to here you hurt it, but I never thought to use an online doctor :) Great to here they helped. That looks like it hurts. It's nice that we have the option to use online doctors now. Thanks for sharing about this program. I am very much pleased with the contents you have mentioned. I want to thank you for this great article.